The nuclear reactor pipeline exceeds pre-Fukushima levels. Given substantial supply cuts that have occurred since 2016, with more cuts to come, and some mines coming to the end of their livesprimary uranium production could fall short of global consumption by ~40 million pounds this year. 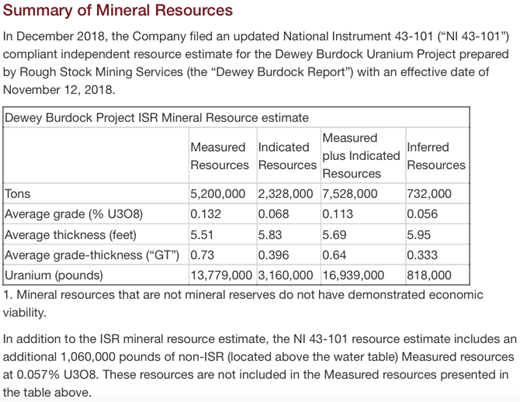 Current uranium prices present an unsustainable situation, especially with Cameco and financial buyers buying in the spot market. Yellow Cake PLC reportedly acquired 8.4 million pounds to stockpile. Cameco has shut down its largest mine and is buying 1115 million pounds in the spot market this year to fulfill its contracts. In my opinion, Cameco could be buying spot again next year if prices remain below the low US$40s/lb. Bottom line, let’s just say that Azarga is 12 months from final approvals, it could then raise capital, perhaps with a strategic partner, and construct an ISR mine. The cap-ex needed is only US$27 million. Azarga could be in initial production in 2021. 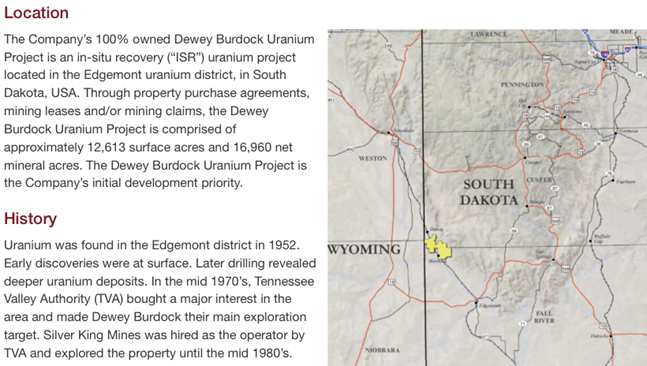 Possibly having contracted for 510 years in a Section 232 setting, where a bifurcated market has U.S. sourced uranium trading at a premium. Further, in 2021, the U.S. would be short of its ~11 million pound quota, so Azarga could potentially ramp up production in the early 2020s more rapidly than it otherwise would.